Dilated Peoples have stayed busy in the eight years since 20/20 dropped; and although fans have had the Evidence and Alchemist collab Step Brothers, a solo LP from Rakaa and plenty of opportunities to catch Babu tearin’ up wax live with the Beat Junkies; the hunger for that realness they dropped on The Platform and Expansion Team hasn’t diminished in their collective absence. 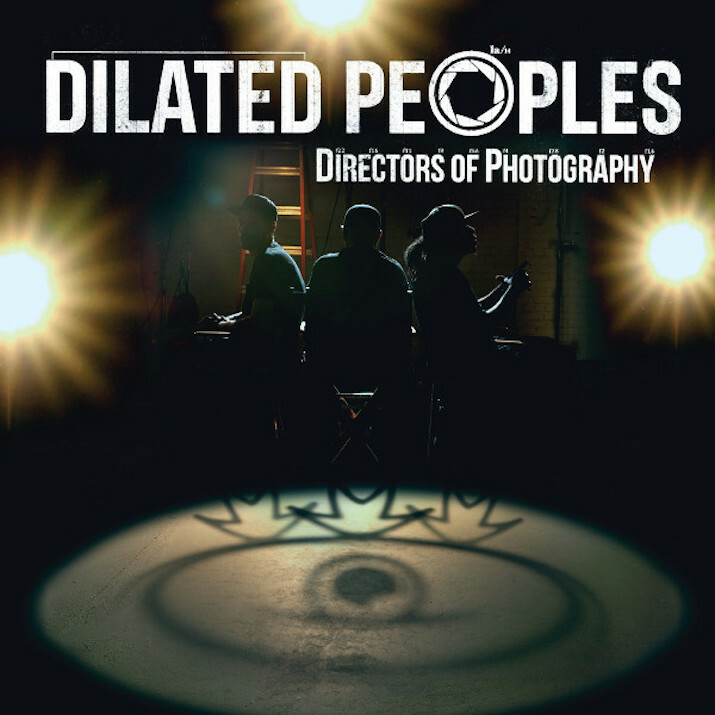 Directors Of Photography finds the three man crew sounding fresher than ever on their Rhymesayers début, delivering a rock-solid return to their independent roots over heavy beats from 9th Wonder, Premo, Diamond D and more. After a smooth intro loop sets the tone, Directors announces ‘Dilated never left, I’d like to welcome us back’, before The Alchemist stacks hard kicks under clean keys on Cut My Teeth‘s heavyweight head nods, and the emcee’s trade intricate bars over DJ Premier’s dynamic samples on Good As Gone. Show Me The Way sees Jake One and Aloe Blacc bring a more accessible sound, while Babu brings the heat over Figure It Out‘s b-boy breaks and D.I.T.C veteran Diamond D provides a highlight on Let Your Thoughts Fly Away; finding Iriscience touching on governmental suppression before channelling Adam Curtis over Oh No’s dramatic piano lines on Century Of The Self. The balance the emcee’s strike between social commentary and straight-up lyrical skill is aptly demonstrated on the one-two-combo of Opinions May Vary and Trouble, seeing Dilated progress past what Evidence once described as ‘rap about rapping’ towards a more insightful position to kick knowledge without preaching. And as the album reaches it’s conclusion, Alchemist flips a killer vocal cut on stand-out anthem L.A. River Drive, 9th Wonder’s memorable instrumental uplifts on The Bigger Picture, Ev’s soul loops back fly rhymes on Times Squared and the mammoth crew cut Hallelujah boasts ill bars from JMT’s Vinnie Paz, Jamla emcee Rapsody, Action Bronson, Fashawn, and Domo Genesis. With solid performances from everyone involved, Directors Of Photography is a fine return to form. Taking the craft back to it’s sample-driven essence with a focus on sustained lyrical skill over fleeing gimmicks, without a wack beat in sight. It seems Malkovich is here for a reason; the hand of fate had the perpetually-kinetic MC leave New York a week before 9/11, London a week before the Tube bombings, Istanbul a week before the attack in the city square, and Jamaica two days before Hurricane Gustav tore through the island; and he hasn’t stopped travelling since. His willingness to relocate to wherever the current producer he’s collaborating with has kept him constantly on the road; resulting in a refreshingly honest and lyrically expansive perspective on his 2013 album Great Expectations. Storm Chasers lets you know you’re in the company of Hip Hop heads from the get-go, and when Malkovich starts spinning rhymes about Huxley’s Brave New World and name-drops Salman Rushdie, you know this isn’t about to be a standard rap album. Lies finds him literally carrying his emotional baggage on his back, flowing with pure passion on a catchy hook; while the title track ponders ‘maybe we’re just daydreams in god’s brain’ with a calm simplicity that would make Alan Watts proud. What I Know is commercial without glorifying materialism, Palm’s rugged stomp offers storytelling bars rooted in neighbourhood life; and a fresh flip of a classic sample finds him expanding his lyrical environment further on an ode to Cali. Through The Trees cuts like strobe lights through smoke-filled rooms, with ambient samples that change up the pace, providing a distinct audio environment for Ali Abnormal, Blvme, Sum and Chris Clarke to bounce slick bars off each other. Cry America illuminates the sprawling urban metropolis over a dusted break; while Core Rhythm and Sum both kill their verses on Lions In Winter. 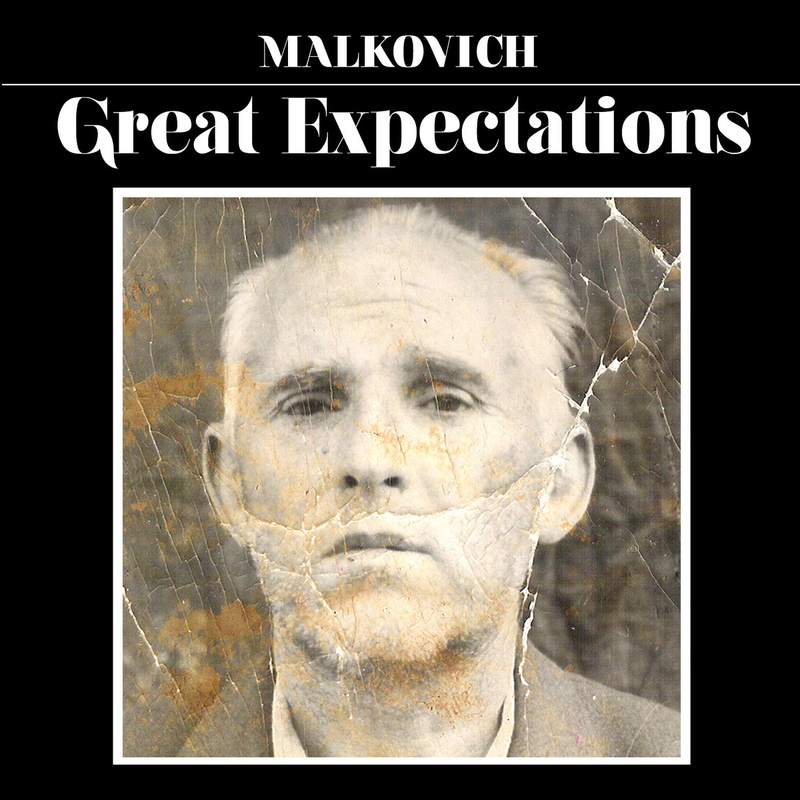 Malkovich drops gems over a tense piano loop on Get Away, takes on a more commercial sound on the pop-hooks of Waiting For You, and as Sundays closes this solid album with loose bars draped over a smooth jazz loop, this talented rhymer ends with more heavy bars. After years of constant work, radio play from DJ Premier and Gilles Peterson, and c0llabs with House Shoes and Prince Po, the momentum Malkovich has built shows no signs of slowing down anytime soon; not even for terrorism or natural disasters. Grab it for free, here. 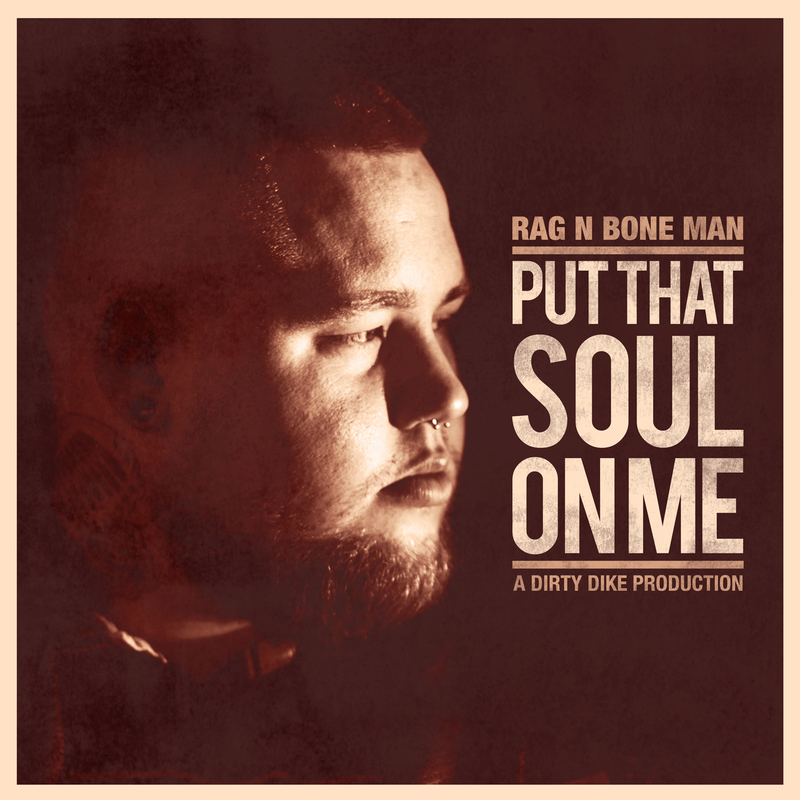 The Diggin In The Crates Crew just put out this ill remix album as a thank you to the fans for twenty years of support. Obviously the beats and rhymes are top-notch, with non-stop boom-bap slickness from beginning to end, as the unit utilize their world-class in-house production, while allowing a few of their their upper-echelon alumni to reshape their classic tracks. Alchemist sets it off with military precision as his tense string samples set the scene for the crew’s lyrical murder on We All, while Bink’s remix of Da Enemy is so fly you might get vertigo, and L’s legendary rhymes stick fast to the track like Olympic sprinters, leaving Joey Crack to end the tune with a heavyweight verse. After Apollo Brown’s dope work on his 12 Reasons To Die tape last year and a masterfully-crafted Planet Asia remix EP, it’s no surprise his soulful take on All Love is an album highlight. The drums drop in and out to keeps you guessing, and his dynamic horn arrangements swirl through the mix over nicely underplayed kicks, accommodating only the finest rhymes from the D.I.T.C MC’s. Lord Finesse loops dense organ chords for his Thick remix; with Big L flowing at his belligerent best over a percussive use of clean snare hits, finding Finesse still at the top of his instrumental game. The first of two Best Behaviour flips from Showbiz utilizes an old school guitar lick thick with wah-wah fuzz; before DJ Premier’s chilled Diggin In The Crates re-make provides an album highlight; his trademark melodic chops hitting hard but remaining musical like PLAYTAWIN on The Ownerz. Buckwild loops some epic brass stabs for Casualties Of A Dice Game‘s mid-paced bounce, slowing the speed to lead into 9th Wonder’s ice-cool sounds on Time To Get The Money. Diamond D programmes some crisp drum hits on Internationally Known , his claps echoing the snare shots as they cracking under a cloak-and-dagger guitar line that exudes cinematic espionage. NY-based beatsmith Marco Polo gets dramatic on Way Of Life, as his MPC slams out a phat horn loop that lumbers through the tune; while KRS-One’s flawless flow floods Buckwild’s Drop It Heavy remix, and Big Pun’s winding phrases envelop the track as it draws to a close. O.Gee stacks neck-snapping breaks over theatrical classical samples on Foundation, making for one of the album’s more experimental instrumentals; leaving Showbiz’s second shot at Best Behaviour to end this masterful mix of raw Hip Hop on a cold, clear tone that packs a menacing chill. Before I even started typing or you pressed play we both knew this was guna be ill; producers and MC’s of this calibre need to collaborate more often on crew projects. It’d give heads the dream collabs they’ve been waiting on for years, and keep new rap listeners rooted in the music’s history, while hopefully gaining these pioneering acts a few new fans in the process. 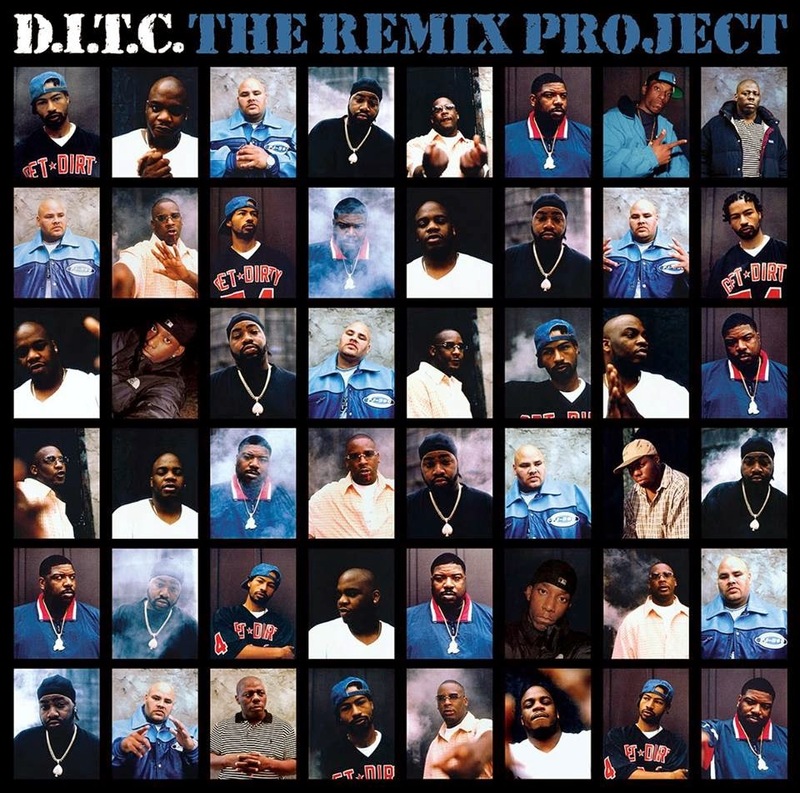 You can get The Remix Project right now for no money down, over at the D.I.T.C website.